Click the button below to add the Acne Night Clear Treatment #Natural Night Acne Treatment# to your wish list. Pimples, breakouts and zit-causing bacteria never sleep. Washing your face is not enough to remove many impurities like dirt and bacteria that may be underneath your skin. Waking up fresh and pimple free in the morning is the best therapy you can get. Our Night Clear product helps your skin relax and stay clean while you sleep so you can wake up with a clean, refreshed look. This product can give you a glow starting from your pores to the surface of your skin. This night serum does not create any cycle of dependency; you can stop using this product when your skin is clear and smooth. A small amount will go a long way. Your face is the main part of your body that will always be exposed to practically everything such as pollution, sunlight, and of course many times for women, makeup. This product is made with several ingredients not found in our other products. You can use it as a stand-alone product for your breakouts and pimples, or you may use it in combination with any of our other skin care products. This unique, fast relief serum calms and protects sensitive skin from irritation and promotes healthy looking skin. Made without alcohol, preservatives, fragrances, or coloring. Apricot Kernel Seed Oil is a gentle, lightweight oil that consists of Omega-6, Vitamin A, and Vitamin E. It moisturizes any surfaces that may be too dry. 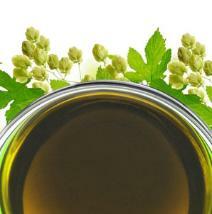 Neem Oil exfoliates the skin. It removes toxins, tightens pores and is antibacterial to help with breakouts. Pomegranate Oil is full of Vitamin A, C, E, and K. With its antimicrobial properties, it refreshes skin. Sea Buckthorn Oil is well-known today for its healing and rejuvenating effects on the skin. When used topically, it's a great natural cleanser and exfoliant. Foraha Oil works as a germicide due to its antibacterial and antifungal properties. Essential Oil of Oregano works as an antiseptic and an antibacterial agent to remove and prevent blemishes. Best to use after face has been washed. Apply to face as needed. With clean fingertips, massage the serum onto the affected area. • You can use the Clear Facial Day Cream and the Clear Spot Serum during the day, then apply this at night time. • Apply to skin with breakouts present on it. Avoid applying the product on healthy skin. • Use a moisturizer on top of this product to prevent dryness. Hippophae Rhamnoides (Sea Buckthorn) Oil, Calophyllum Inophyllum (Foraha) Oil, Melaleuca Alternifolia (Tea Tree) Oil, Vitis Vinifera (Grapeseed) Oil, Leptospermum Scoparium (Manuka) Oil, Prunus Armeniaca (Apricot Kernel) Oil, Azadirachta Indica (Neem) Oil, Punica Granatum (Pomegranate) Oil, Origanum Vulgare (Oregano) Oil, Lavandula Angustifolia (Lavender) Oil, Pelargonium Graveolens (Geranium) Oil, Cymbopogon Flexuosus (Lemongrass) Oil, Tocopherol (Vitamin E). I have tried many other products before and all they did was dry out my skin. As soon as I got this night serum I put it on first thing and within minutes noticed a difference! The inflammation went down and the redness reduced. I’ve never used anything that has worked so quickly, this stuff is amazing and you only need a small amount. I think this product really works because of the natural ingredients it has. It really balances out my skin. My skin had a lot of pimples and pustules. Anything I tried would just make it worse. I now use this night serum twice a week and it really works for me. I should have known all along natural products were the answer. I am so glad I know now! My skin is oily, pimple prone and sensitive to new products. After heard about so many good comments about these nutritive products finally I got mines!!!! I was so happy. Super-fast results, the inflammation from the breakouts had reduced significantly and the cystic pimples is starting to reduce in size with each use. I am using the facial soap, cream and night serum to target specific needs for my breakouts facial concern. With these, I'm able to save my face - thank you for coming up with such amazing products that is literally fix my breakouts prone skin. This product is excellent! I just ordered my 2nd bottle, because it works just that well!! I have been struggling with breakouts on my face for a very long time and I have tried many products that didn't work. They actually just made me break out even more. Since I have been using it I haven't had any more breakouts and my face is super clean!! I use it twice a day (am & pm). This product, by far, works excellent! Within 3 days my grease face cleared up, within a week no nmore breakouts. Hope this guides some people to the cure they're looking for. I don't mind being seen without makeup now, I'm liberated and it feels wonderful. I can use all time and that energy I used to give covering pimples and breakouts from my face!! I bought this stuff three weeks ago. Immediately I started to getting rid of the breakouts on my face, my back and chest. I found some products worked a bit for my breakouts but only ever for a finite time. Then my breakouts comes back stronger. Antibiotics, proactive and benzoyl peroxide all helped a little then suddenly stopped. With this product, my skin is clear and healthy. My skin is pimple free with not dependency on any ingredient. I stop using this serum one week ago and my skin has no more recurrent breakouts. Some pimple products work for a while, but they have chemicals that make it worse in the long run... making you think you need more. I am using only natural products and this night serum has been my answer. Using this product I has not skin reactions. My skin is getting better and better. I am very happy with the results. I was using proactive and I loved it at first, but I started to notice that my breakouts have gotten worse. I too have been using benzoyl peroxide. Nothing has seemed to make a difference, so I stopped using it. I did some searching online and I read that because some chemicals are very aggressive and it can spread the blemishes around to other parts of your face. So I started to use natural treatments. I use the clear facial day cream and the clear night serum and is working for my oily-combination skin so don’t think that is the to use more of their products. Breakouts, pimples and pustules are the most frustrating thing to deal with on top of hormonal changes. I’ve tried everything under the sun. My best friend was ranting and raving about a line of natural treatments called justnutritive; she swore had changed her skin. I’ve been using these products for almost three months and my skin has never looked better! They have something for everyone so of you’re ever looking to switch up your skincare routine, I don’t think you’d regret it! I dont usually write reviews but product really has been so effective i had to!!!!. It truly does everything they say it does!!! It has helped my acne heal so fast!!! I been suffering with hormonal acne for some months and nothing has really helped. But i can truly say that this acne has helped the acne heal so much faster a d better.. Its calmed my redness down and irritation down and everytime i feel a pimple coming out i put some of this on for like 2-3 days and it helps the pimple go away!!! Im just amazed and i will be buying alot of their other acne products they have. Thank you justnutritive!!! I have been using this in conjuction with the Shea Moisture African Black Soap kit and am really seeing a big difference! I put this on about half an hour before I go to bed to let it soak in. It has an oily consistency so I recommend applying it and waiting before lying down in bed. It has seriously reduced my acne and redness and has made my skin softer. The only reason I gave it 4 stars is because it smells terrible, likely due to all the natural ingredients. It definitely won't deter me from using it because it's working so well. I just feel like no one in the comments has mentioned how awful it smells and I therefore was unprepared for it. But if you don't mind the smell, I would definitely go for it! Best product ever! It really works a 100%. My skin is wonderful from the day i started to use this product ! I also bought an acne spot oil before I got this. I really like this night clear treatment. You put them before going to sleep, and next day your acne is much smaller than before. I recommend this for sure. This product has really helped to clear my adult acne. I use it lightly all over my face each night with a cotton pad and my face clears up in days! And, if I happened to forget a night, I don't re-breakout. The smell was odd to get used to because it's natural oil, but I love it now. Because of this product, I really want to try more from JustNatural. I highly recommend this product if you just can't clear up those few pesky areas. 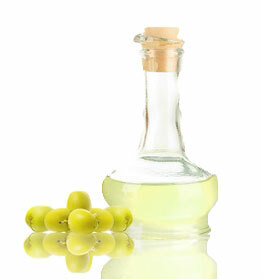 Although I'm not sure this product truly helped prevent acne, I do believe it has helped my skin balance its oils. I have noticed that my face does not appear nearly as oily as it did before using the product. I love this fact as it means my face stays fresh looking all day long and I do not feel greasy. I have been using the product for three months now so it does last long! Love this product. This product smell pretty strong by nothing that you don't get over. I wish I discovered this sooner. My friends and family have even asked me what I have been doing for my skin. I bought this along with the face and body wash and the Manuka treatment. I wash my face with the wash and put this on before bed and when I wake up my skin is much less irritated and the redness and large acne have gone down a lot. Plus it smells so amazing! I have suffered with severe acne since middle school. I was even made fun of, people asked me if I rubbed greasey foods on my face. It was everywhere, my cheeks, my forehead, my chin, and my jawline. I had tried varying soaps, convinced it was just because I was so terribly inconsistent with my regiment. My mom gave me this to try and I brushed it off for a while until I was completely exhausted of all other methods. I was just sick of it and I couldn't take it anymore. I use between four and five acne products now. This one included. I have gone from having so much acne, I was convinced people thought I probably had some skin condition, to being virtually clear. Not only am I clear, but I have stayed clear through my cycle and through stressful times, such as having five college exams in one week. Although there are other products involved, this one sticks out to me and I never ever skip a day of using it. It makes my skin feel great and clears it faster than other products I've used. Thank God for this product.